Can you guess what city has 25% of the “world’s” construction cranes active on projects? 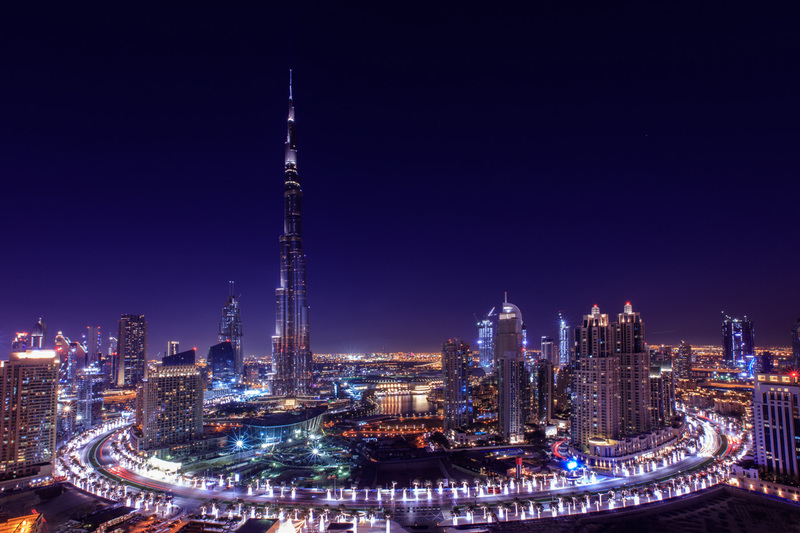 You guessed it, Dubai, United Arab Emirates and boy is it a sight to see! I’m not sure I’ve ever seen anything like it. A city literally rising out of the desert sand. You actually forget you’re in one of the hottest deserts in the world. On our way back from an amazing trip in Cape Town, South Africa, my husband and I had the opportunity to spend the day in Dubai and take in the sites. Just the night before, I was telling him how we’re always off on an adventure and there we were less than 24 hours later; we’d completely changed our travel plans and now we were taking a tour of Dubai. In the last three days, we’ve been to the Indian Ocean, Atlanta Ocean, Persian Gulf and the Pacific Ocean; we even flew over the North Pole and the Arctic Ocean on our way home. I don’t know how many miles we’ve traveled but I think we all can agree its a lot! I don’t believe that things just happen randomly. I believe that everything eventually has a purpose in God’s construction plans for our lives. As we were touring Dubai, I couldn’t help but think about all those cranes in the sky; vertically erecting some of the most beautiful buildings in the World. Each with its own story to tell. The foundations were different, the views were different, the histories were different and the time to build each one of these amazing structures was different as well. Each one with pain staking details. Each one with struggles and challenges to overcome before their light could “so shine”. These buildings hold stories that you and I will never know or ever hear about. Some even hold life altering injuries and some even death; before they could reach their full potential. Now we sit and gaze in amazement at their beauty without fully understanding the sacrifice of the journey. It is the same with God. God is our Developer, Our Creator, Our Crane and He’s erecting some of the most beautiful Ambassadors for the Kingdom. Carefully laying the foundation of our life and building our frame brick by brick and stone by stone. Ensuring that you will be able to withstand the test of time. Our foundations are different, life views are different, our histories are different and the journey to develop each one of us are different as well. Each one of us enduring pain staking details that only the Creator could have envisioned. Each one of us overcoming struggles and challenges before our light could “so shine”. Our lives hold stories that most will never know or hear about. Each one of us hold life altering injuries and some have even endure painful deaths of love ones. These are the details only known by the Developer and Creator. These details are part of God’s construction plans for our lives. When each one of these unique buildings are being built the developer only envisions the final structure. He’s been pondering it for months, even years as the plans are being created. He understands the sacrifices that he’ll have endure to get there. He knows there will be challenges from day one, as a matter of fact they’re built into his construction schedule. He plans for unexpected delays, delivery issues, cost overruns, injuries and yes, he even plans for death. As a matter of fact, the developer will purchase an insurance policy that ensures absolutely nothing stops the final outcome…the completion, the grand opening of the building, the “reveal”. Do you get it? We tend to see life as a challenge and a difficult process but God sees every situation we encounter (good, bad and even ugly) as precious materials to build up His Ambassadors for the Kingdom. Each one, a one of a kind work of art, so uniquely crafted by His Hand that there can “never” be two. There can only be one Burj-Khalifa (the tallest building in the world), one Burj Al Arab (the only 5-star+ hotel on a man made island), one Dubai Mall (the largest mall in the world with over 1,000 stores) and there can only be “ONE YOU”. In fact, God took out an insurance policy to ensure absolutely nothing stops the final outcome…the Completion, the Grand Opening of Heaven, the “Revelation”. His name is Jesus Christ of Nazareth. But the most amazing thing about this insurance policy is that rates will never go up, premiums will never laps and the Insurer will never go under. This policy was paid in Blood. Do you know how precious you are to the Kingdom? Let the beauty of your spirit, hand crafted by God Himself, light the skyline of this earth for all to see and glorify God.